Digital learning environments are taking residence in the educational experience of many, from replacing components of traditional classroom instruction to providing open platforms for lifelong learning. In this class we will study the various forms and functions of a sampling of digital learning environments ranging from subject specific Intelligent Tutoring Systems in K-12 to domain neutral systems for post-secondary online learning. The two online meeting periods will be on the Zoom video conferencing platform. Many weeks will feature a guest speaker from one of the featured digital learning environments of study. They are invited mostly to field critical questions but may also provide a brief introduction of themselves and their role at the platform. This Course Qualifies for Credit Towards a Certificate in Education from UC Berkeley. Learn more about the Education Minor program at UC Berkeley. Dr. Pardos is an assistant professor in the Graduate School of Education and School of Information at UC Berkeley. His work focuses on knowledge representation and engineering personalized supports leveraging big data from educational contexts. His current projects focus on increasing upward mobility in the California postsecondary system and using behavioral and semantic data to map out paths to cognitive and career achievement in K-16. He earned his PhD in Computer Science from Worcester Polytechnic Institute funded by an NSF Graduates in K-12 Fellowship (GK12), during which he spent extensive time with K-12 educators and students working to integrate educational technology into the curriculum as a formative assessment tool. He holds several academic leadership positions in the learning analytics community, including posts as an editorial board member for two of its journals (JEDM and IJAIED), executive committee member for the Artificial Intelligence in Education Society, and program committee member of six conferences in education analytics. 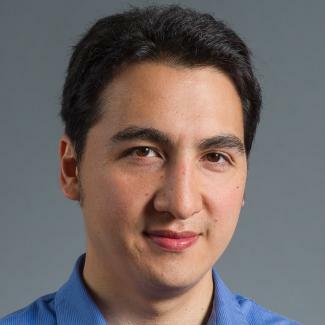 Dr. Pardos came to UC Berkeley in 2013 after a post-doc at MIT’s Computer Science Artificial Intelligence Lab (CSAIL), exploring models of cognitive mastery applied to learner process data from, then nascent, large scale online courses. At UC Berkeley, he directs the Computational Approaches to Human Learning (CAHL) research lab and teaches courses on data mining and analytics, digital learning environments, and machine learning in education.